We offer a range of light wavelengths that brighten, strengthen and rejuvenate the skin; that treat fine lines; that remove rosacea, red spider veins and pigmented brown spots; that treat acne; and that remove unwanted hair. Lasers and laser light procedures have revolutionized skincare treatments, allowing physicians to help their patients achieve younger, healthier-looking skin without the use of a scalpel and without scarring. From skin rejuvenation to permanent hair removal, our treatments are designed and proven to remove flaws, improve appearances, and help our patients gain confidence as well as a younger look. Your laser skin treatment will be overseen and conducted by one of our experienced, knowledgeable physicians. Throughout the process, you will be educated about the different types of laser treatments, given an overview of your options based on your needs and goals, and guided through the process with thought, kindness, and care. From fractionated lasers to ablative lasers, we may have the solution that you are looking for – all available in our state-of-the-art surgical center. Laser treatments to brighten, strengthen, and rejuvenate skin. Laser treatments to minimize or eliminate fine lines. 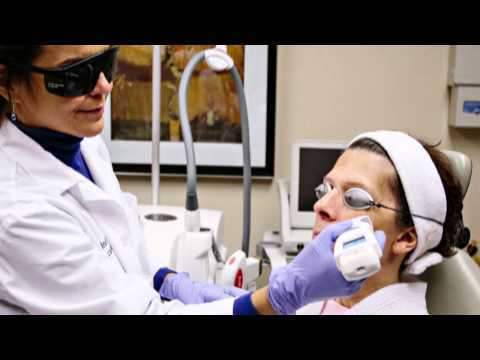 Laser treatments to remove or minimize rosacea. Laser treatments to remove or minimize red spider veins. Laser treatments to even skin tone and remove brown spots. 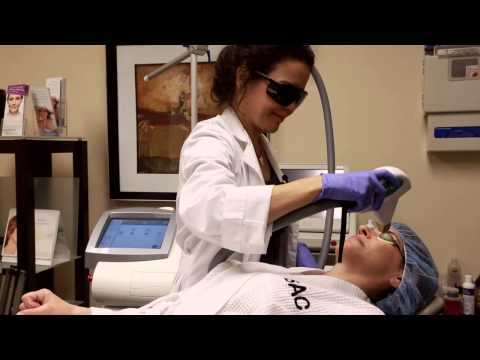 Laser treatments to treat acne and acne scarring. Could a cosmetic laser surgery be the answer for you? Call the Wellness Medical Spa today to get your questions answered, find out more about our procedures, and meet our doctor.